Planning an affordable family vacation to Disney World is a challenging proposition for any family — the park is notoriously expensive. Tally the costs of park fees, restaurant meals, souvenirs, plane tickets, lodging and other extras, and the total price of your Disney family vacation becomes downright exorbitant. What’s a parent on a budget to do? Consider these secrets to saving big at Disney World. 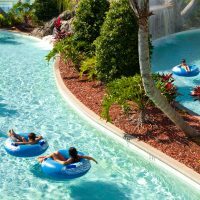 Plenty of Orlando family hotels offer affordable accommodations, as well as shuttles to the parks. Additionally, you can stay at a hotel that's located on Disney World property, but not owned by the park. For example, the BEST WESTERN Lake Buena Vista Resort Hotel is located in Disney Springs, but offers more affordable rates, as well as complimentary transportation to all the parks. 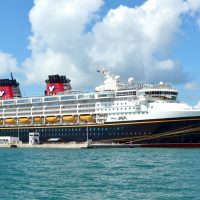 If you want to stay within the park and save, choose one of Disney World's Value Resort Hotels: Disney's Pop Century Resort, Disney's All-Star Music Resort, Disney's All-Star Movies Resort, Disney's All-Star Sports Resort, or Disney's Art of Animation Resort. Plenty of Disney World resort hotels and nearby hotels cater to large groups with spacious suites or apartments that have multiple bedrooms. Just 2 miles from Animal Kingdom, Silver Lake Resort offers large villas with three bedrooms, three bathrooms and full kitchens (which means extra savings on meals), as well as two swimming pools. Another reliable option is Marriott's Grande Vista, which sleeps up to 12 guests. Inside the parks, there's a plethora of options for large groups, such as Disney's BoardWalk Villas, Disney's Old Key West Resort, Bay Lake Tower at Disney's Contemporary Resort and Animal Kingdom Villas -- Kidani Village and Jambo House, all of which sleep up to eight guests; the TreeHouse Villas at Disney's Saratoga Springs Resort can sleep nine. Disney's All-Star Music Resort and Disney's Art of Animation Resort sleep up to six guests. Another option is to consider an Orlando vacation rental or a rental outside of town. "Renting a house can be a great fit with space to gather, relax and cook up your own healthy meals with fresh seafood from local markets," explains Lisa McClintick, mom of three. "We once rented an older home on a canal in Daytona, which kept us close to the beach, but also within driving distance of Disney World. Many rental homes in Florida also have their own pools." If you've got little ones or picky eaters (or both) in tow, consider sharing some or all of your meals. "The portion sizes offered at many restaurants throughout the park are quite large. Sometimes our family of five (with three boys ages 7 and under) can get by just fine with sharing just two or three adult meals," says Sara Wellensiek. Don't rule out shared meals at hotels either. "We stayed at the Art of Animation Resort and got dinner at the Landscape of Flavors Food Court. Our family got a large pizza (which was only about $15), plus a side salad and a fun dessert to share. The total bill wasn't even $30!" Sara says. Your child wants to dine on fare cooked by Chef Mickey -- with the Mouse himself, of course -- and you want to save money. The solution? Book your character meal early in the day for breakfast or lunch, and avoid the costly character dinner. Character meals, which are priced per person, can cost hundreds for a family of four or five. But you can cut costs by choosing the least expensive time to eat, which is generally breakfast. For example, at the Crystal Palace in the Magic Kingdom, where Winnie the Pooh poses for photos with families and food is served buffet style, breakfast and lunch prices range from $15 to $35 per adult, whereas dinner prices range from $35 to $60. "If you have some extra time and flexibility, you can gain significantly reduced (and even free!) admission by participating in Disney World's volunteer and group programs," says Jackie Perrin, a regular at Disney World. "In the group division, of note is the Disney Y.E.S. (Youth Education Series) Program, which has an individual enrollment option. On select dates, you can sign your school-aged kids and yourself up (an adult chaperone is required if your kids are ages 12 and under). Purchase of a Y.E.S. 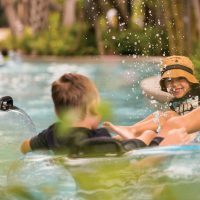 package includes an education session and your choice of Disney theme park admission packages, including multiple-day and park-hopper options, at a fraction of the regular price. Special pricing for accompanying family members is also available." Also, consider volunteering a few hours at a local sporting event. "If you have some time to spare and specific event timing works into your travel plans, you can earn free admission to a Walt Disney World theme park by volunteering at one of a number of Disney-run sporting events," Perrin continues. "Rules vary according to event, but it's possible to earn a complimentary one-day one park pass by filling a single shift for an event, such as Disney's Princess Half Marathon." "When we go to Disney, I'm more concerned about saving time. Time is money, after all," says Traci Suppa, contributing writer and mom of two. "We stay at a Disney World hotel with transportation into the parks to save the time and hassle of driving into the parking lots." Another suggestion: "Use Disney's free app, My Disney World Experience -- it gives you ride wait times, tells you where dining and restrooms are and how to quickly get to characters," says contributing writer, Wendy Irvine. Of course, FastPass is also invaluable. "Establish a budget for souvenirs ahead of time," suggests Diana Lambdin Meyer. "Discuss it with your children in advance and help them understand the limits. Allow them to make one purchase on their own, whether you agree with the purchase or not." Wendy Irvine, on the other hand, buys the souvenirs AHEAD of time. "It's miles cheaper to buy the Disney items online before a trip than to pay store prices inside the park. And if my boys get to wear a Disney hat or tee or carry a stuffed Disney character, they're content and I don't have to hear 'gimme' all day." Better yet, Sara Wellensiek has MADE her own Disney-themed paraphernalia. "I made my boys matching Mickey shirts and autograph books for some of our trips -- they were a big hit!" Less families visit Disney World in January (excluding New Year's Day) and February (though Presidents Day week is moderately steady with visitors). After Labor Day, September, October and most of November (things pick back up for Thanksgiving) are less busy, and the time between Thanksgiving and the week before Christmas is also an ideal time for families to visit -- and not just because hotel rates are lower, but also because there aren't as many crowds (which means slightly shorter wait times for rides). Did we mention deals? 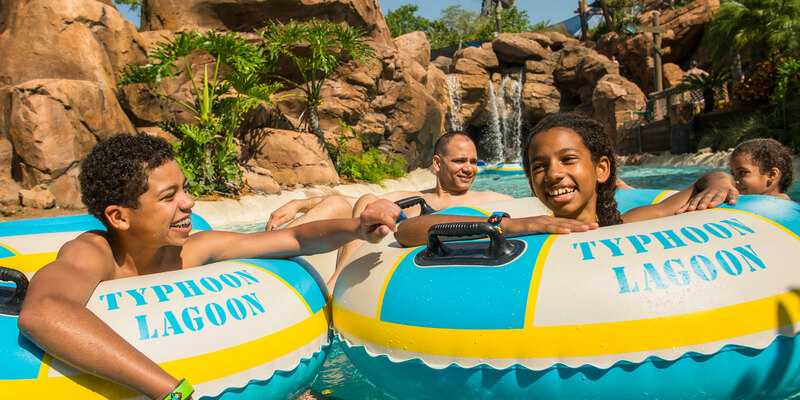 Whatever you do, don't book your trip without searching for Disney World family vacation packages and deals. Offers from discounts on accommodations to meal plans to ticket packages pop up often, and frequently feature big savings for families planning visits to the park. But the key is to be flexible. We recommend planning well in advance and keeping your eyes open for the right deal before you set your travel dates. Most deals have date restrictions that are pretty much set in stone. Once you decide on your dates and book a flight, it'll be harder to find a decent Disney travel bargain that works for you.